A Beautiful Basket of Flowers. Two blossoms of Sleeping Hybiscus really helps to make the Basket of Flowers look very good. The basket is sitting on our two seater settee, so that gives you the size of it. 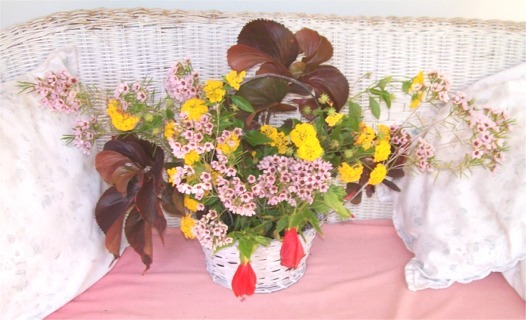 With Geraldton Wax, Yellow Lantana flowers including the Dark Brown Leaves of…(Not sure what the name of that plant is) helps to make a pleasing display for our home or office. Here is a Poem taken from a book by J.M.R.Larman. Psalm: Chapter 22 verse 22…. I will declare your name to my brothers; in the congregation I will praise you. 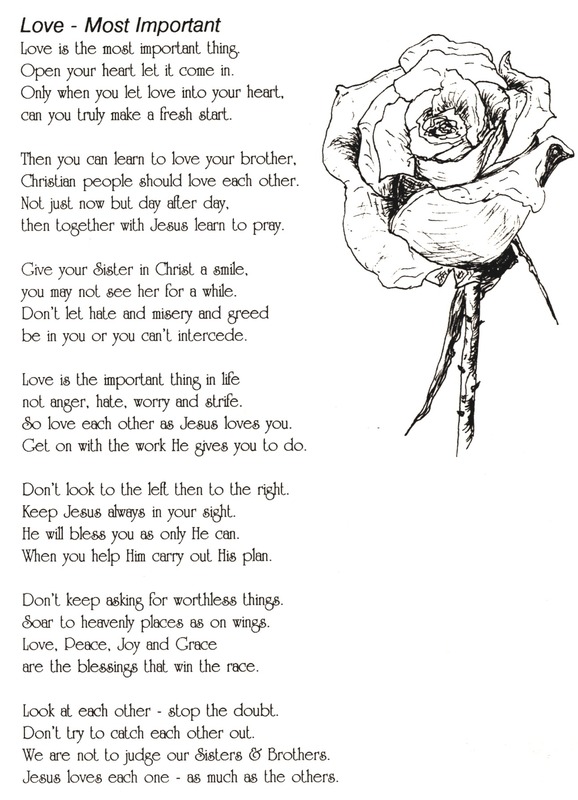 I thought it would be nice to share some of our thoughts with our Brothers….. Brothers are precious…yes I know Sisters are precious as well but in the Bible Brothers stands for all our Brothers and Sisters. Anyway I have three Brothers who are all special to me, also three Sisters equaly precious and they all know that I am a Christian but today I thought it nice for us all to maybe think about them today. Mine are in another Country and so memories are good to keep and also a few time during the year we like to keep in touch on the phone. I was able to phone one of my Brothers for his Birthday the other day, he was so pleased to hear my voice and told me that he has to have a heart operation. If I had not phoned it would have been quite a while before anyone would have thought to let me know. Now I can pray for his recovery. 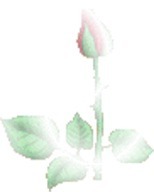 I Hope you have a lovely day remembering or thinking about your Brother or Sister who maybe a long way away from you. This entry was posted in Uncategorized and tagged Basket of Flowers, Brother, Poem Love Most Important, Psalm:22v22, Sister. Bookmark the permalink.